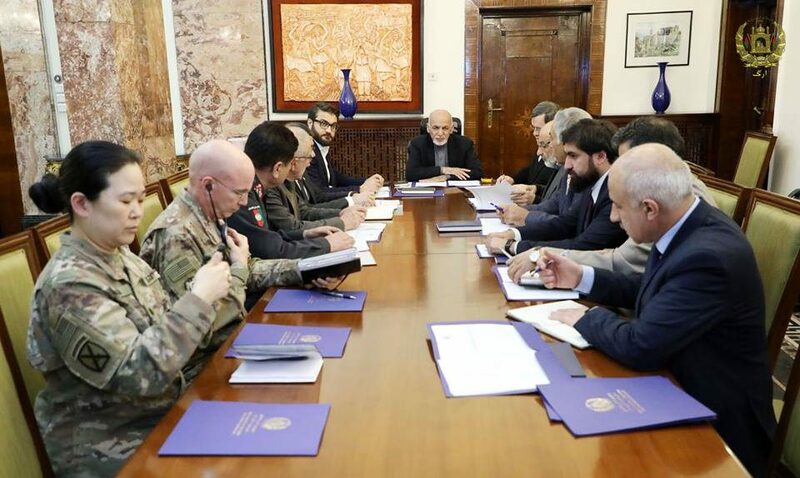 KABUL: The meeting of the Armed Forces Commander-in-Chief was held on Wednesday afternoon and was chaired by President Mohammad Ashraf Ghani during which the security situation of certain provinces was reviewed, a statement from the presidential press office said. The participants of the meeting discussed and reviewed the security situation of Khas Uruzgan, Malistan and Jaghoori districts of Ghazni, Qala Kar of Farah province, and Chahar Sada district of Ghor province, the statement added. The officials were also instructed to take immediate actions to eliminate threats and ensure security of the districts, the statement added. According to the Office of the President, the Resolute Support mission reaffirmed the alliance support, specifically in providing air support to the security forces during the operations.